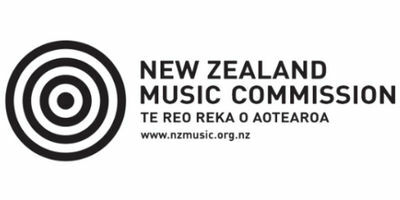 Since 2001, the NZ Music Commission Schools Programme has connected New Zealand’s top musical artists with emerging young talent in schools from Kaitaia to Invercargill. More than 150 artists have shared their expertise in songwriting, instrumental and vocal technique, recording technology, and music industry insight – including Jon Toogood, Maisey Rika, Chris Mac of Six60 and Julia Deans. The Programme also supports teachers and students with NCEA Music Achievement Standards – allowing students to potentially earn four to six credits through their work with their Mentor. In addition, the Programme supports the Ministry of Education’s Ka Hikitia – Managing for Success and Pasifika Education Plan strategies. Visit www.nzmusic.org.nz/education to learn more about what they can do for your school. MENZA provide music professional development, support, and advocacy for teachers of all grade levels – through teaching resources, workshops, and conferences. There are so many benefits to becoming a member – why not join today? As proud sponsors of Hook, Line and Sing-A-Long, the New Zealand Symphony Orchestra, the National Songwriter Awards, and the National Brass Band championships to name a few, we not only offer our resources, our time and expertise in administering and running many of these important calendar events. to try and compare a wider variety of Music Instruments before you buy. MusicWorks Limited represents many of the world's leading brands with which we have exclusive importing agreements with including Yamaha - the largest manufacturer in the world, as well as Tama Drums and Ibanez Guitars, two of the world's leading rock brands, and Ashton - the premier entry level brand in the Australasian music market. Paiste Cymbals, Schecter Guitars, Behringer, ddrum, Laney Amplification, Engl Amps, TRex pedals, Electro-Voice, HH Electronics, Dean Markley Strings, Morley, Beale, Hiwatt, Levys Straps, Mogami Cable, Steinberg, RME, Bosendorfer Pianos, Rotosound Strings, and Kemper Profiling Amps, are but an example of the brands that we import and distribute in New Zealand. In addition to this, our stores offer a significant range of other world renowned brands to the consumer. Whether its drum kits, electric guitars, acoustic guitars, classical guitars, bass guitars, keyboards, pianos, effects pedals, guitar cases, guitar bags, stands, guitar straps, guitar strings, guitar amps, valve amps, bass amps, keyboard stands, ukuleles, PA speakers, power amps, or just a capo or recorder, - MusicWorks have all your musical equipment needs.